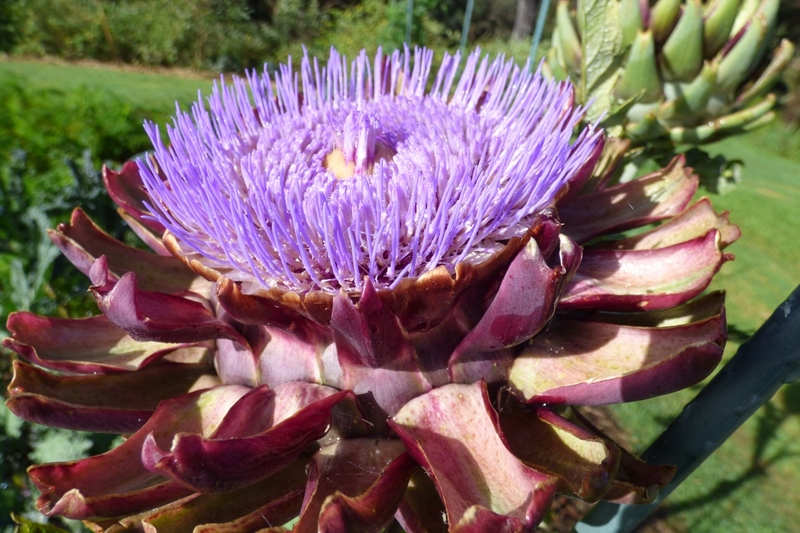 Artichoke (Cynara scolymus): growing, planting, caring. Growing your own artichokes is easy...in a gentle climate. Otherwise, prepare yourself for a real challenge and follow the guide! Artichokes are perennials, cultivated for a long time in the Mediterranean region. Their tastiness is undeniable paired with a vinaigrette, but you'll need to make sure your soil is rich enough, deep and well-drained, and to place them in a sunny area that's sheltered from the wind. If you're in a cold area, we don't recommend growing artichokes which can't take the frost below 23°F, especially in clay soil. They'll need to be protected before winter so that they don't rot. But you'll never know if you don't try! Sow from January to March in small pots under shelter. 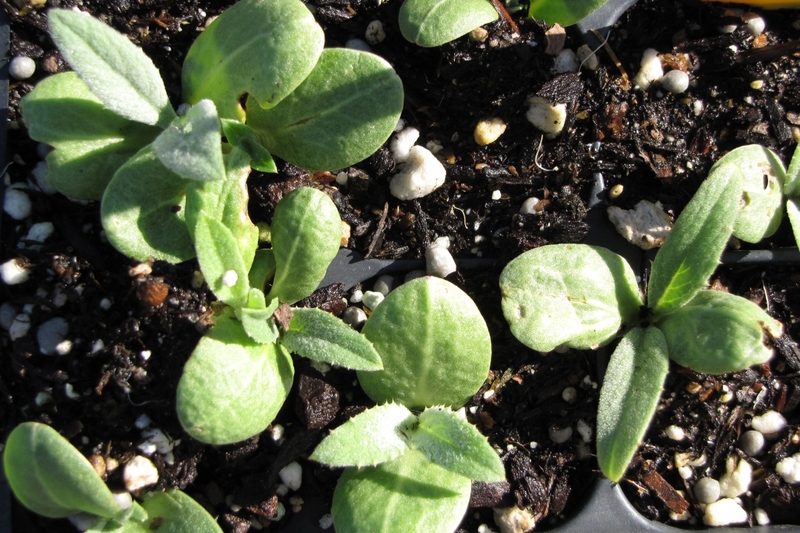 Place 2 to 3 seeds per small pot, so you may choose the most vigorous seedling to eventually plant in the ground. Transplant seedlings sown under shelter to your vegetable garden after two months, choosing the best plants. Make sure each plant has one m² of rich, well-drained, deep soil with a low clay content. Choose a sunny location sheltered from wind. Enrich the soil with a green fertilizer to compensate for the nutrients your artichoke will consume, even if the soil is already rich. Water when planting. Plant in March-April, using stems taken from the root stock of an adult plant or store-bought plants. Make sure each plant has one m² of rich, well-drained, deep soil with a low clay content. Choose a sunny location sheltered from wind. Enrich the soil with a green fertilizer to compensate for the nutrients your artichoke will consume, even if the soil is already rich. Water when planting. You can mulch between the plants one to two weeks after planting with the aid of a mulch which holds in moisture. This will limit evaporation from the soil, and thus the need to water and to weed. Renew each year in April, preferably with non-treated mulch. 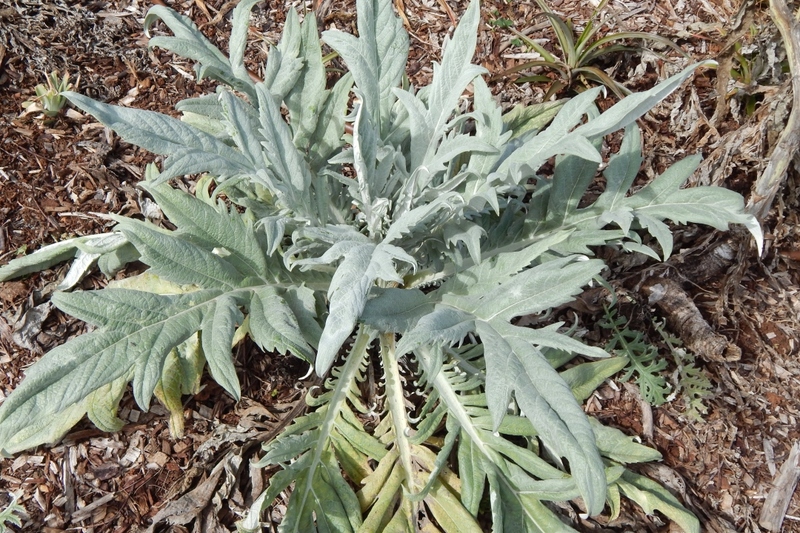 Water your artichokes once a week during summer, even if mulched, as they are very thirsty plants. Watering young plants is not normally necessary, but watch out for signs of drying for the first month if there's no rain. Harvest before flowering, from May to October according to the variety and the conditions. 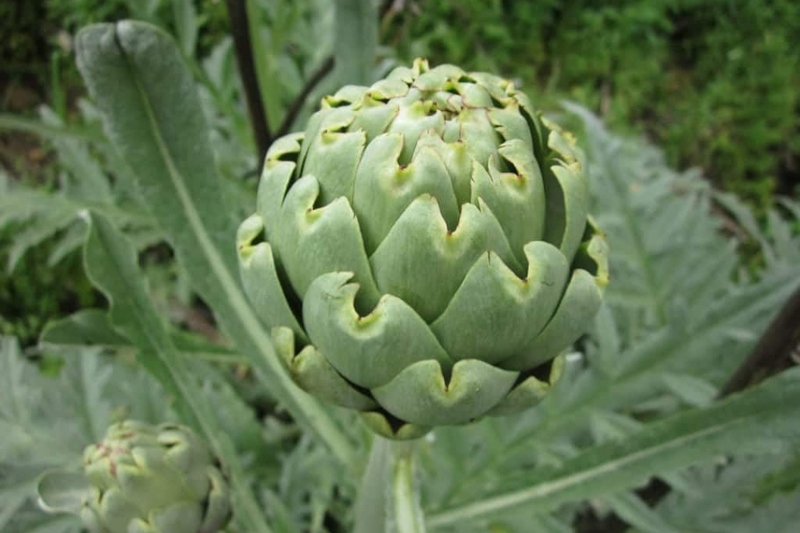 Once the upper leaves of your artichokes become fragile, cut off the edible portion 10-20 centimeters below the flower head. Remove a few cuttings from the root stock of a developed plant each year, including new sprouts that are growing from the periphery of the foot. Replant them in a new location to prevent the rapid decline of these short-lived perennials. This is a crucial step for artichoke owners in cold climates. You must shorten the stems to bring the plant down to less than 40 cm high, group them in a bundle, then tie them together with flexible string. You may also wrap the stems in a winter cover, though it will keep in the moisture and increase the risk of rot...it's a dilemma! Create mounds of earth around the feet of your artichokes, without putting any soil in their heart — which may cause them to rot — then add a light leaf-mulch overtop. At the beginning of spring, remove the cover, the string, the dirt, and the leaves. Dig up after three years of cultivation.